Published on May 1, 2010 in Complaints, Elections, General T&T, People's Partnership, PNM and Politics. 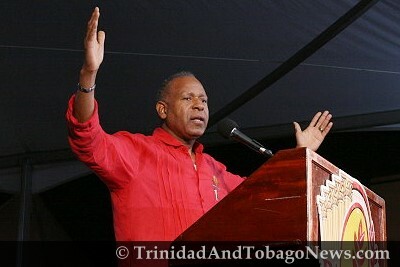 2 Comments Tags: Patrick Manning, Pensioners, Politics, T&T Govt. Old age pensioners have received increases in their pensions this month, reportedly ranging in one instance from 13.5 per cent to as much as 35 per cent in some instances. Published on May 1, 2010 in Elections, Finance, General T&T, People's Partnership, PNM, Politics and Protest. 5 Comments Tags: Karen Tesheira, Property Tax, Stephen Kangal, T&T Govt. After the huff and puff of the ill-advised, arrogant and disrespectful steam-rolling of the Property Tax Bills at an undue frenetic pace through Parliament December last that caused discomfort even to HE The President, Finance Minister Karen Tesheira continues to bluff and attempt to hoodwink property owners.